Currently the Indian smartphone market is being ruled by Chinese brand Xiaomi. Going not too far, in the past 2 months only Redmi had come with a no. of smartphones. The best part about Redmi phones is its features at a compact price which makes Redmi the leading choice of customers. The last sale of Redmi 4 and Redmi 4A was a great success as it received huge response from the public again due to the features and price. Redmi has made the market of smartphone so handy and convenient that anyone can afford it. Xiaomi’s latest launch Redmi 5 which was launched just the last week went on sale today on 3rd of April at 12pm. The Redmi 5 was available just on Amazon and MI store, Xiaomi’s office store. This phone is being promoted as a compact power house. Seeing Xiaomi’s recent track of the sale of any of its smartphone, it was expected Redmi 5 to also get sold within seconds and yes it did happen so only. 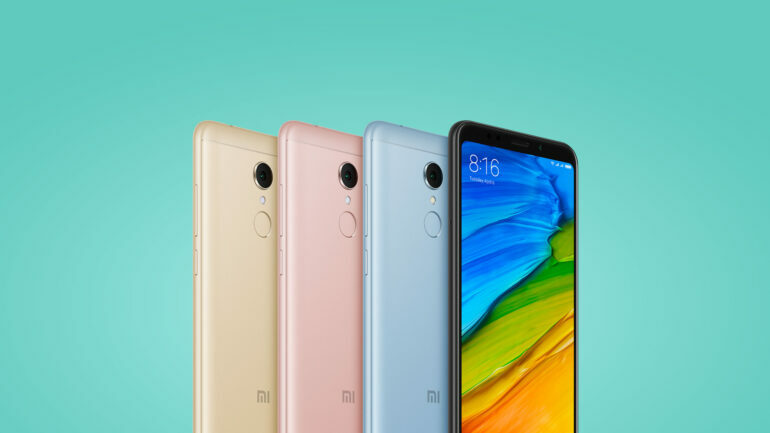 Xiaomi started its budget series phones with Redmi 4 and seeing the response it came up with advanced version of Redmi 4, Redmi 4A and now a high version with better features Redmi 5. What not did the people do to get this phone. They had already subscribed to it, added their address, saved card details, still only a few lucky ones could grab the phone in its 1st sale. Xiaomi managed to give this new launch of Budget series smartphone a makeover by making it a FullView display along with other features. The screen size is 5.7 inches, bigger than the Redmi 4 series. It claims that despite the increase in screen size, there is compromise with the visibility as the 18:9 aspect ratio of the screen is capable of fitting in the compact manner. Speaking about the processor, Redmi 5 has come up with a slight betterment with Snapdragon 450 and Adreno 506 GPU being used. It is due to the 64-bit 14nm FinFet that the Snapdragon 450 uses that Xiaomi has been able to maintain the thickness to 707mm. Along with 12mp primary camera it is also backed with a 5mp front camera for capturing amazing selfies and clear video calling. The primary camera is featured with 1.25 microns , which allows high quality photographs even in dim light. Focussed on selfies, the front camera has even got a LED selfie light with face recognition feature and a Smart Beauty 3.0 app for filtered images. The battery capacity of Redmi 5 is 3300mah which Xiaomi claims to be enough to run a full day with normal usage. This device is to have Android 7.0 Nougat based MIUI 9. It also includes Wi-Fi, Bluetooth, GPS on the connectivity end and is armed with 4G LTE with Volte calling feature. Today’s sale is over and people are already waiting for the next Redmi5 sale to come and to grab the opportunity with all their details already saved on Amazon.